This entry was posted in Activities, Novels, Reviews, The Dreadful Tales Book Club and tagged DarkFuse Publications, Lambs, Michael Louis Calvillo by Meli Yoroshiku. Bookmark the permalink. I had the pleasure of working with Michael when I was pulling together the Zippered Flesh anthology. He was a true professional, superb writer, and is sorely missed. His writing is his legacy. 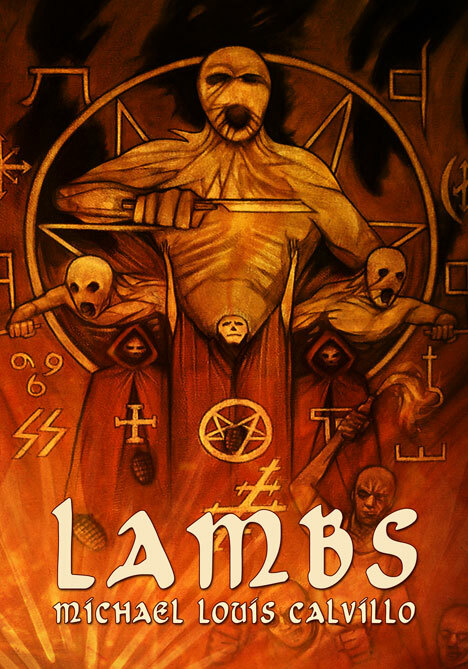 Get a copy of Lambs. Enjoy. And search out his other work. You won’t be disappointed! Thanks for the lovely review! Michael would have been honored to know you enjoyed it! We are all deeply sorry for your loss, but it warms my heart knowing that you will keep his spirit alive by sharing his work. Thank you from all the fans of Michael Louis Calvillo. Thank you, Meli, for the lovely review of Michael’s LAMBS!